I had a weekend in Albury recently, as I have family there. 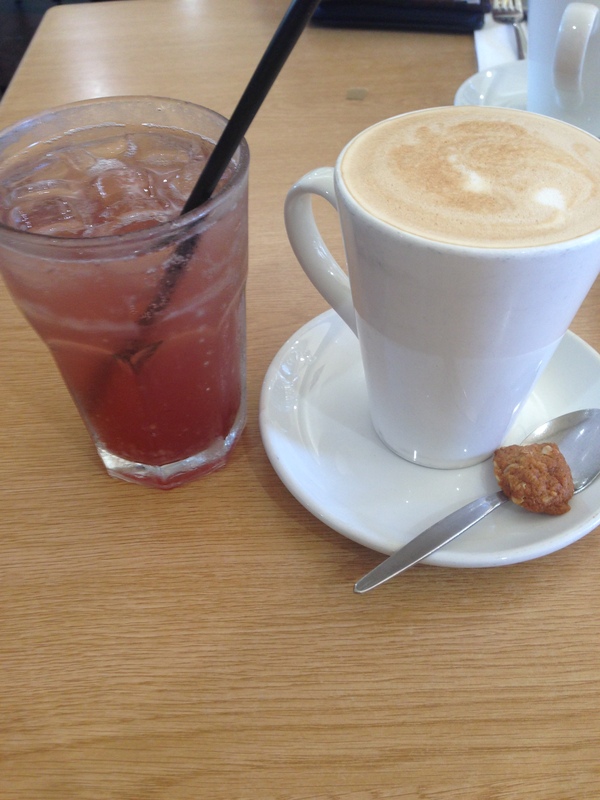 We decided to head to Peard’s Nursery where there is a cafe attached, Cafe Borellas. In the 30 odd years I’ve been going to Albury, I’ve never been to this cafe. I’ve been to Thurgoona Golf Club for dinner a million times, never managed to win a damn meat tray in the raffle, but my Grandma always does; we always seem to end up at Rivers, where there is always a major bargain to be bought and bragged about, but I’ve never been to Peards. We wanted to go for brekky somewhere that catered for the number of children that we’d accumulated, and Peards was the suggestion. I’d had breakfast at the Motel, a couple of chocolate chip hot cross buns, so wasn’t all that hungry. 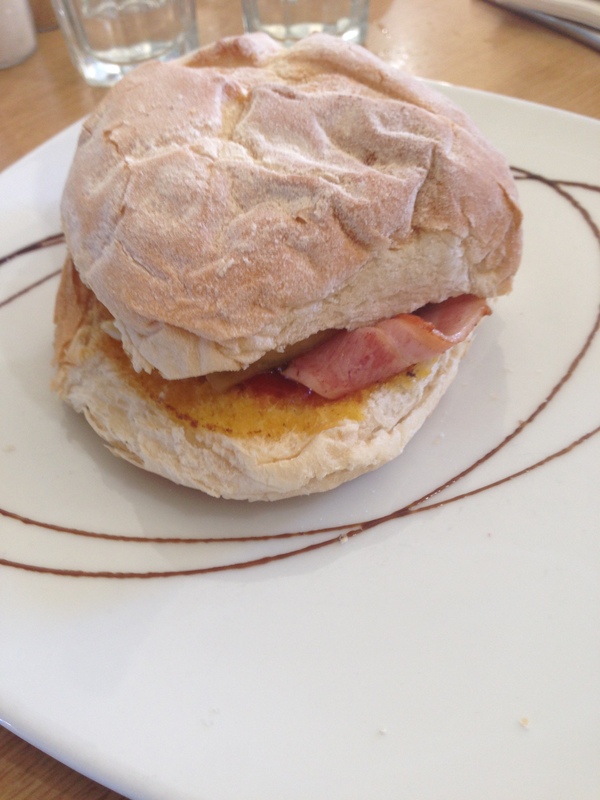 Tweenie is always hungry for a bacon and egg roll, in fact she’s taken on the role of Bacon and Egg aficionado, and gives a review of each B and E roll wherever she goes. This was a good B and E roll, $8.00. 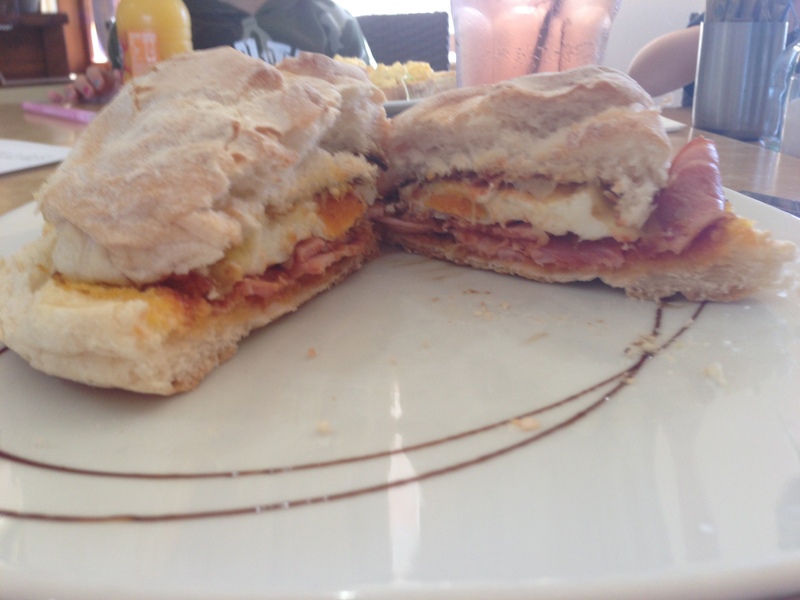 The bun was soft, the egg just set, the tomato jam tasty. And as she could only eat half of it, I had to eat the rest. What a shame. And she mentioned how cool the swirl of bbq sauce was, but it didn’t add much to the dish. Too much MKR me thinks. The cafe does these cool fizzy fruit drinks called Frou Frou Fruit sodas, a mix of soda water and preservative free cordial, Tweenie had a pear and blueberry one. It was a nice fizzy break from straight juice or a soft drink. Lovely. I had my usual vanilla flat white, and it was a good coffee. The coffee came with a little mini Anzac biscuit. Cute. 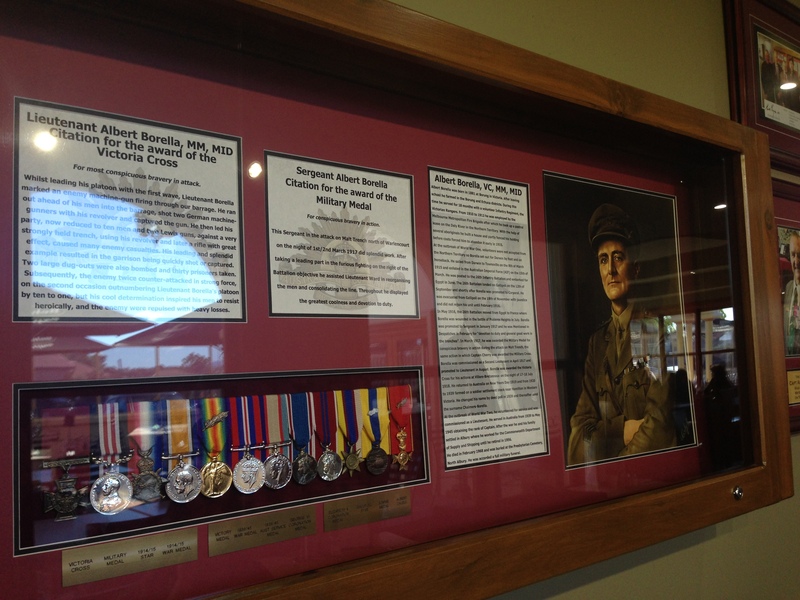 Cafe Borellas is named in honour of Captain Albert Borella who was awarded the Victoria Cross in 1918. The cafe is full of war memorabilia, and it provided the older kids with some interesting reading. They also supplied tins of crayons and plenty of colouring in sheets, which provided minutes of enjoyment for the hordes of children. 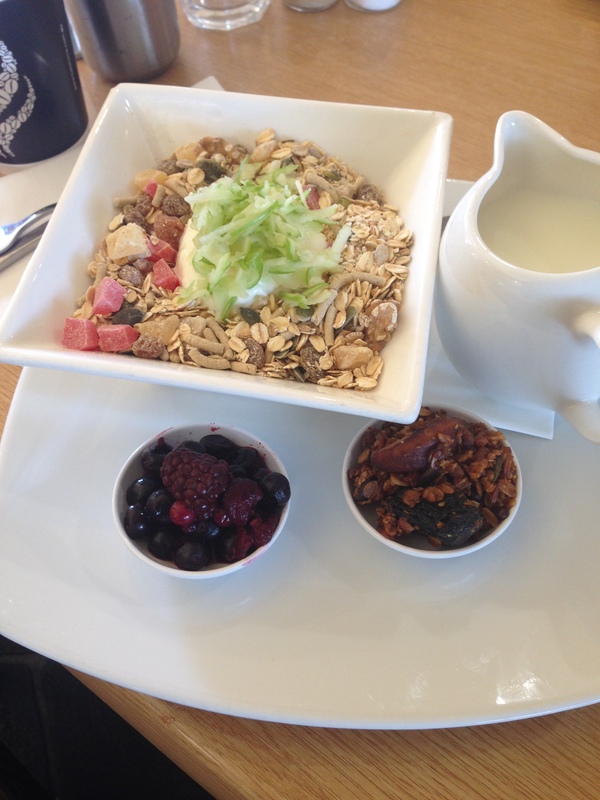 My sister chose the Gourmet muesli, served with milk, natural yogurt, crunchy granola, berries, and grated apple, $11. This was pretty impressive, a big bowl of muesli with all the extras in little bowls to be added at one’s discretion. It was agreed that this was a good bowl of muesli. Staff here were very friendly and accommodating as we had some strict dietary requirements which were all delivered as requested. The meals and coffee were served quickly, it was all hot, or cold as required. And we managed to sit and visit with family long after the meals were finished and plates cleared. 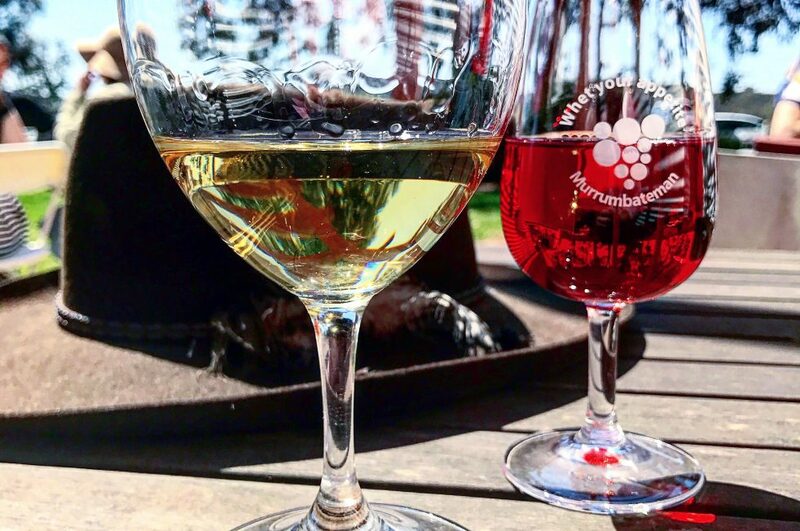 And what better way to end a meal than to stroll around the nursery, fantasizing about all the cool plants, vegies and fruit trees one could take home and plant. If one had one’s own car, a lot of money and didn’t live in freezing cold Canberra. 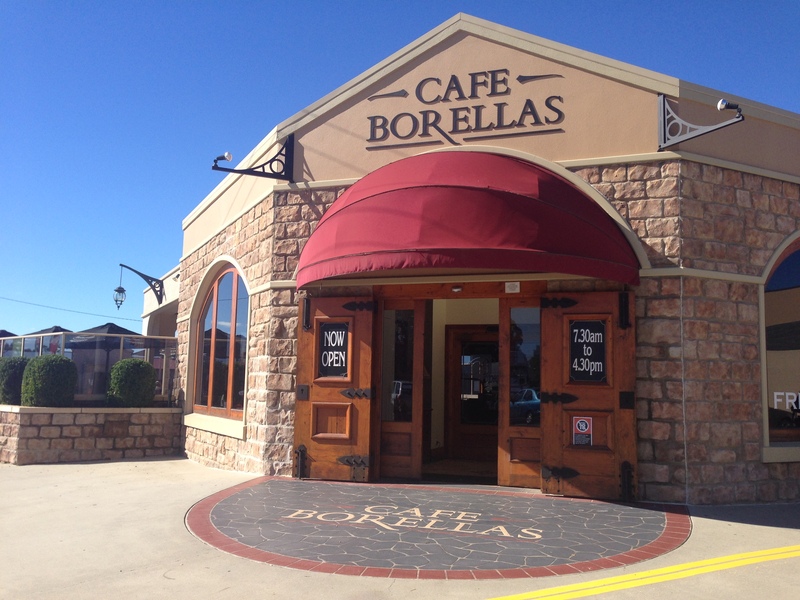 I’d definitely recommend Cafe Borellas if you’re visiting Albury. Next Post I’m still here (hand waving madly)!